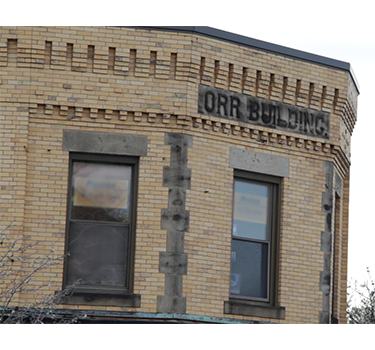 Since early 2015, the Orr Building, a 100 year old fixture of Newvtonville Square at the intersection of Washington and Walnut streets, has been the latest battleground over the future of Newton. 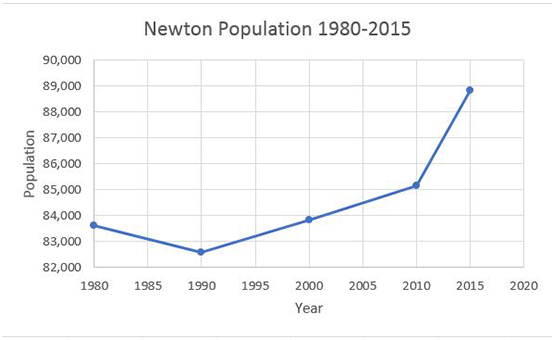 With the city population expected to reach over 90,000, Newton continues to see its population boom, with it having grown over 4% in the past five years alone. This has spurred a surge in controversial development projects across the city. Yet, the proposed development for the Orr Building is the most divisive one yet. 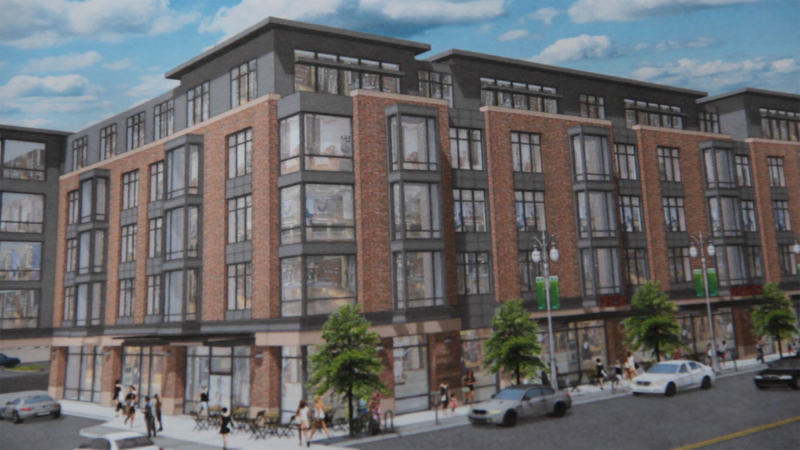 While proponents of the project argue its importance in providing housing for the increasing population, opponents paint it as a large monstrosity that would disrupt and change the character of Newtonville, one of the villages within Newton. The three acre plot of land Washington Place would be built on. 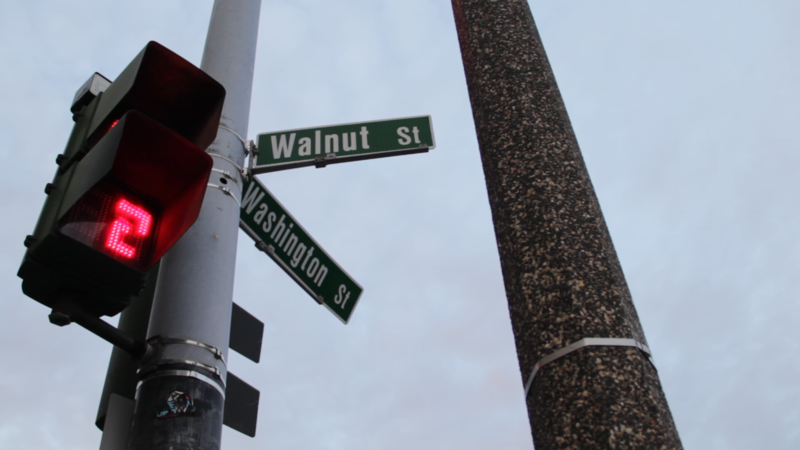 The Orr building is at the intersection of Washington and Walnut Street, at the bottom right corner. Rendered images of the Washington Place proposal. The proposal would be 4 and 5 stories in various sections and would include retail space as well as mixed income housing. Mark Development, the company proposing the project, would replace the two story Orr Building with a 5 story development which would be named Washington Place. This development would sit on three acres of land, being built on a combination of the lots from the Orr Building and the connecting lots Mark Development has acquired. 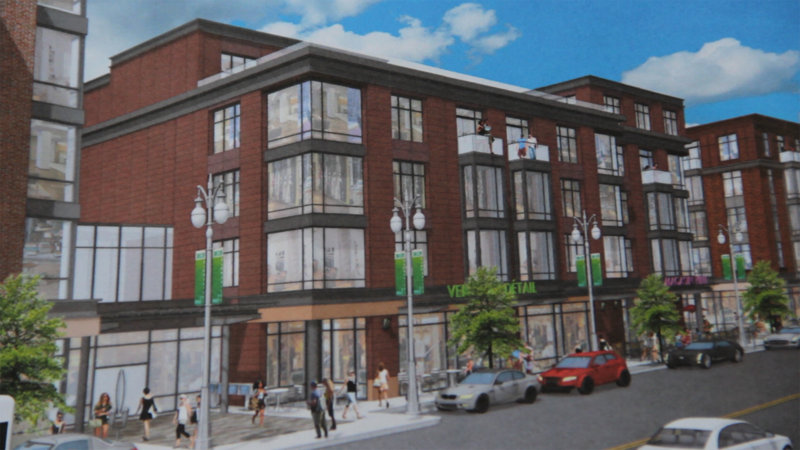 It would contain 40,000 sq ft of retail space and 160 apartments, including 40 affordable units. These affordable units in particular are key in trying to gather support for the project, as Newton has not yet met its state requirement on affordable housing and faces potential state intervention into this matter. If Newton were to turn down any developments with affordable housing incorporated, Massachusetts General Law 40B allows the developer to petition the state for approval, where it would almost certainly be passed. Essentially, the city government either has to reach a compromise acceptable to both developers and residents, or see their authority overridden by the state in favor of a unilaterally approved project. This has left the city with few options but negotiation, which has led to delay and numerous revisions over the past two years, including withdrawals and re-submissions of the proposal. Yet, the city’s effort to compromise and work with developers has exposed a rift within Newton. As the public’s awareness of the project has increased, so has their outcry. Almost 300 letters of concern have been sent to the city council so far, with almost 100 in favor of Washington Place, and almost 200 opposed. These letters, along with all other submitted documents to the city, are public records and can be accessed here. However, despite the public’s overall disapproval of the matter, many aredoubtful the city government will listen to their concerns. One such person is Bob Kavanaugh, a vocal opponent of the project. 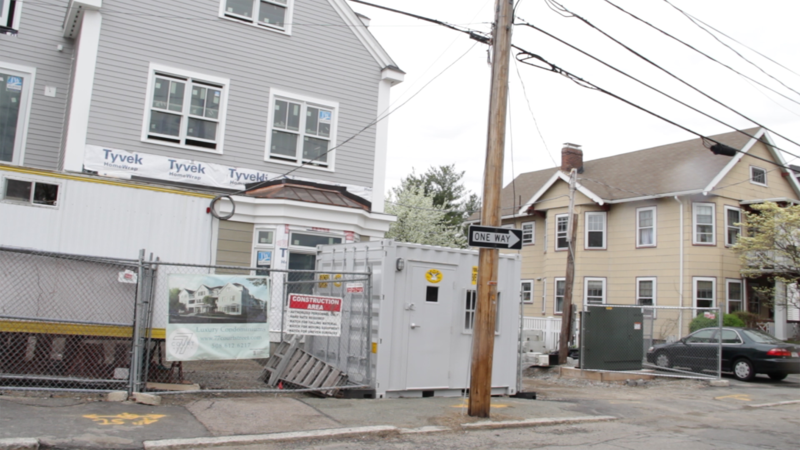 For Bob, the past proposals have hit very close to home, next door in fact, as Bob is living next to a development which was approved by Massachusetts General Law40B. Bob’s house and the state approved development under construction next door. was the first person to see the plans for Washington Place in 2015 and a key figure in making initial changes to it. Like many Newton residents, both in favor and opposed to the developments, she sees a changing Newton. Yet, rather than fight this change, she would rather see the city work with it and try to direct it. Yet, the most important voices in evaluating Washington Place must be those directly affected by it. 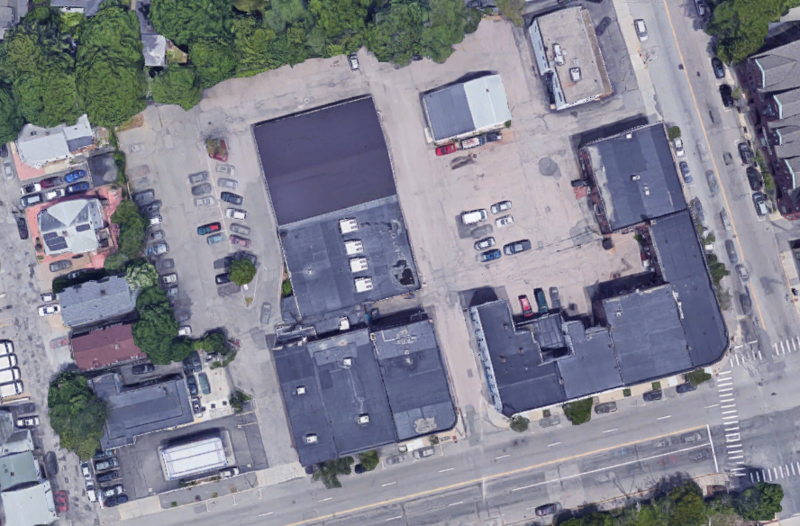 As on of the most prominent tenants in the Orr Building and in Newtonville Square, Newtonville Camera’s decision to support Washington Place has come as a surprise to many. 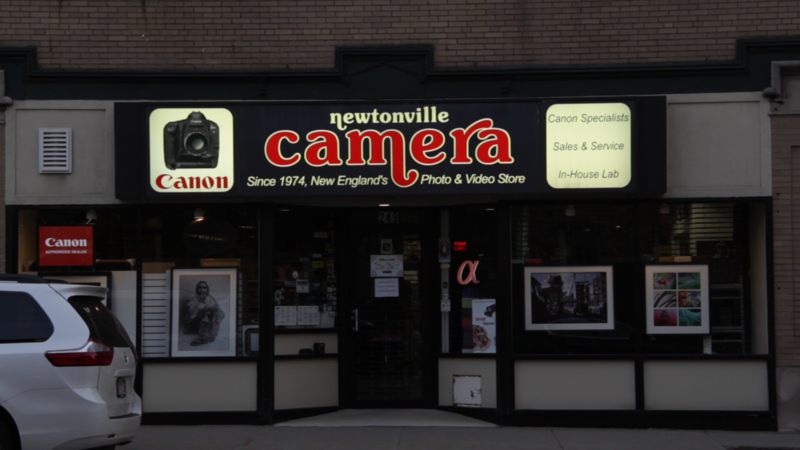 From being one of the last people to find out, to being one of the project’s biggest proponents, Kenneth Roberts, Newtonville Camera’s VP, feels Washington Place will be good not just for business, but the community as a whole. For now, the project still remains in limbo, having been resubmitted to the city again in April for further review and an eventual vote. In the meantime, tensions continue to run high over this development and the future of the city.